Zbigniew and Henio have a difficult relationship. Zbigniew is more interested in hoarding items he collects on the black market than playing chess with his father. He is always after more more space, more items to fill that space until he finally manages to purchase a precious cupboard on the black market of 1970s Poland, much to his fathers annoyance. graduated from the National Polish Film School in Łodz in 2008 with a film Joyets (Radostki). In 2010 Magdalena has done MA course at NFTS on Animation Direction, graduating with a film "Zbigniev’s Cupboard". Both films won numerous awards. After graduating from NFTS Magdalena has finished a pilot for a television series Joyets with the Illuminated Film Company and Spirits of the piano produced by Breakthru Films. Spirits of the piano is a part of the feature film The Flying Machine. 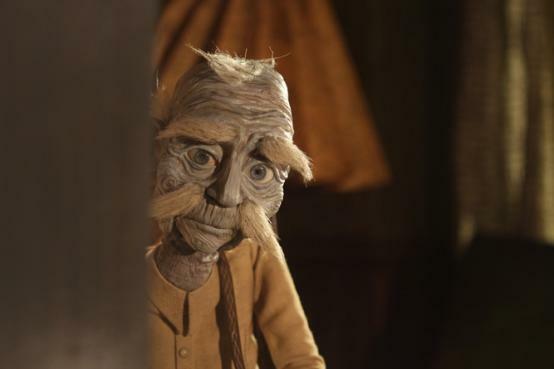 It is a 3d stereoscopic puppet animation. Spirits of the piano received so far Best of the Fest 3D Shorts at the Hollywood 3DFF festival and was longlisted for the Academy Award.